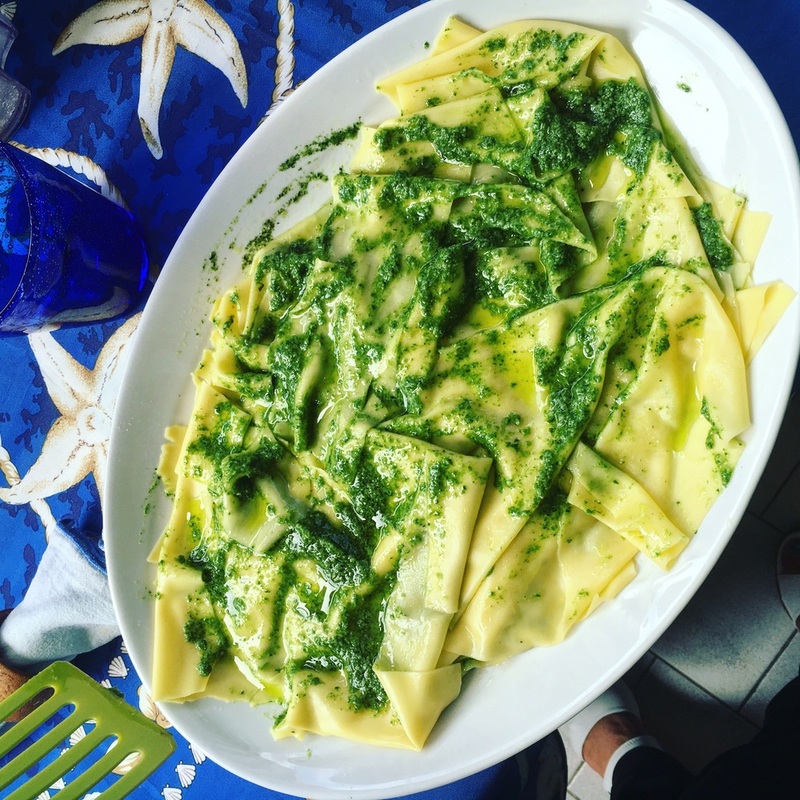 A common way to eat these paper thin sheets of fresh pasta (or 'silk handkerchiefs') is to forgo the oven or al forno part entirely, carefully boil each sheet in a pan (precision is key), and slather pesto between each layer once on a serving plate. Delicious, simple and very Ligurian. You'll also find lasagna served with pesto 'al forno' in lots of restaurants. No tomatoes, instead, sheets are filled with lashings of fresh pesto, along with small cubes of potato and green beans (similar to a traditional bowl of trofie al pesto) with lots of lovely gooey béchamel sauce and cooked in the oven. Lasagna al forno con pesto. Parcel of pesto paradise.